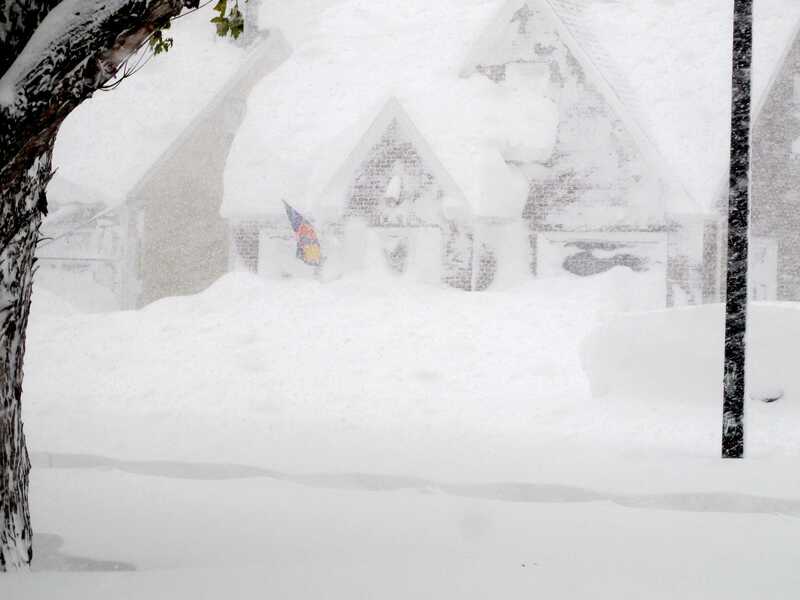 AP Photo/Carolyn ThompsonA 4-foot fence and SUV are nearly buried along a street in Buffalo, N.Y. on Tuesday, Nov. 18, 2014. A snowstorm on Tuesday that covered New York’s Buffalo area with more than 4 feet of snow killed four people, The New York Times reports. One person died in a car accident and three others from heart attacks, officials said. 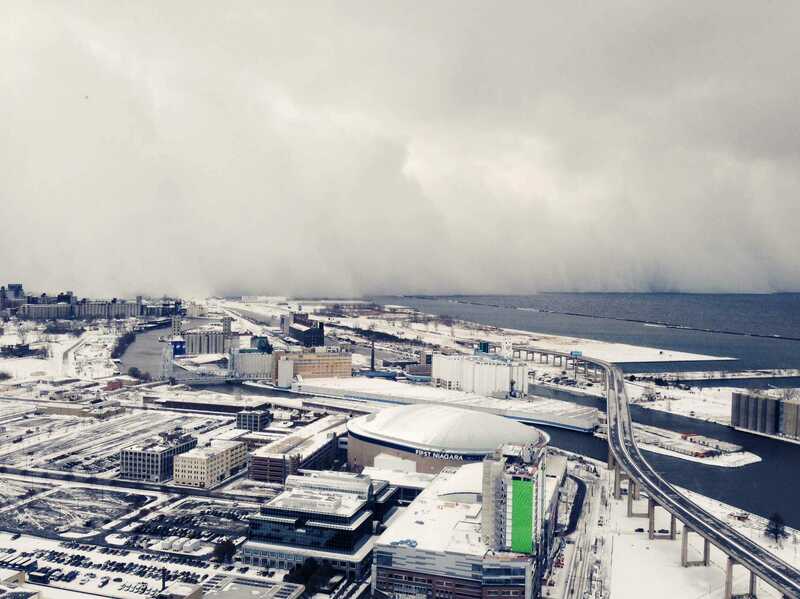 The lake-effect snow, created when a cold front moves over a large body of warmer water, stranded cars, trucks, and buses. 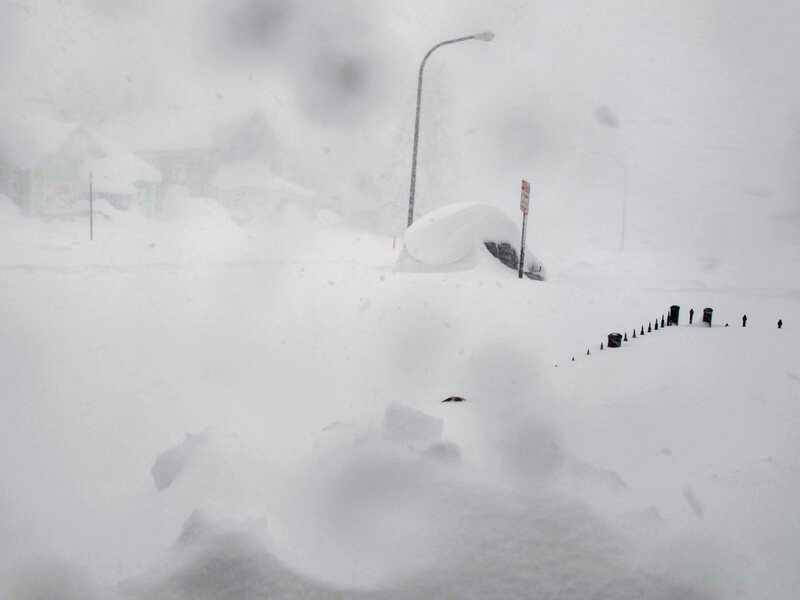 Whiteout conditions caused by wind gusts of more than 30 mph closed more than 100 miles of the New York State Thruway, the Associated Press said. The season’s first big winter storm encased homes in feet of snow. 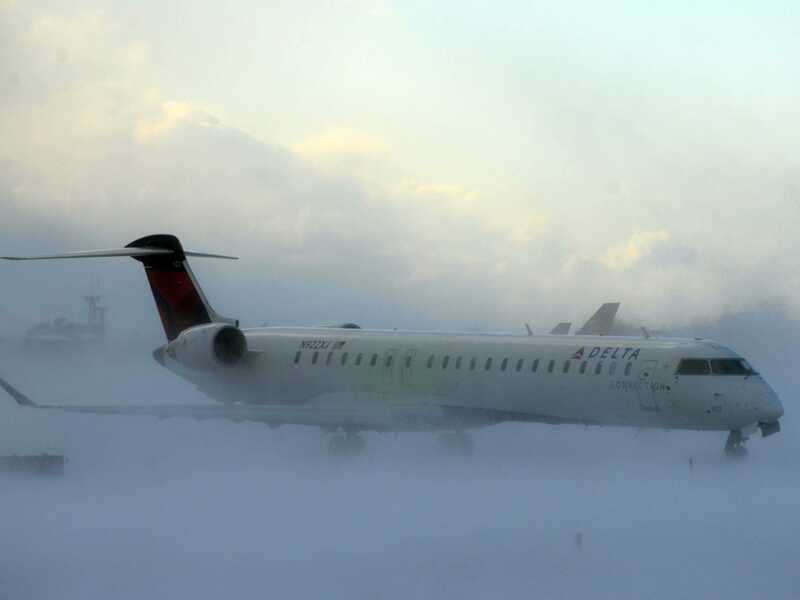 In the photo below, a plane negotiates the snow-covered at Buffalo Greater International Airport on Tuesday. Here, you can see storm clouds moving across Lake Erie and into Buffalo.